Are you tired of that unsightly, old creaky door ruining the appeal of your property? Is your garage door constantly not functioning well? Then you need door installation, repair, and replacement services! Whether you are in need of an interior or exterior door, King Locksmiths features a wide variety of door services and products to choose from with designs and styles ranging from contemporary and modern to classic and traditional. 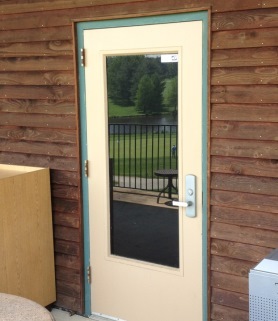 See our Door Repair and Door Replacement Gallery for some of our recent work. 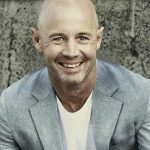 The door is one of the most important parts of any establishment – be it residential or commercial property, homeowners and business owners should see to it that their doors are always on a good condition. If you are having any problems and issues regarding your doors, one of the best steps to take is to call a door installation company. But which company should you choose? Well, choosing the right company has a lot to do with being able to receive the best services that you need. King Locksmiths is your one stop shop for emergency, automotive, residential and commercial locksmith services. Not just that! We also specialize in offering door installation, repair, and replacement services – all you need for a secured and safe door. We have been operating in this field for many years now, making us equipped with the necessary expertise and experience in this field. King Locksmiths is one of the leading companies for locksmith services and door installation services serving Maryland and Washington DC, and all surrounding areas. We, at King Locksmith, take pride in the job we do. You can expect satisfying results from our services for we work with extreme professionalism and in a timely manner as well. We take detail oriented, thorough approach to every process we undertake, getting it done right the first time. With us, you don’t have to worry about stretching your budget and not being able to get the best value for your money. All our services and features are being offered with compelling and reasonable prices. Expect us to offer you with the best services. We are offering services for both commercial door(s) and residential door(s) applications. Whether you need a new door for your home or office or whether you need your doors repaired or replaced, don’t hesitate to call us. We will always be proud to be able to serve you with what we have to offer. Our company is equipped with state of the art methodologies, resources, and tools, which enable us to continue serving our clients with the best services as possible. We strive to be the leading locksmith and door Installation Company, providing our clients with utmost client satisfaction, building and establishing company-customer relationship among them. Do not be ripped off by sellers and home builders offering less for more! 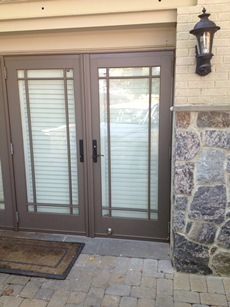 Our company proudly offers installation services for all major kinds and brands of doors throughout the Maryland and Washington DC areas. We actually have door installation project plans for every budget. Our technicians have the know-how in door installation, so you are rest assured that you will be able to get a good service. They are dedicated to offering the best of what they can, making your transaction worth it and satisfying. Over the years, our company has generated lots of satisfied and loyal clients – all thanks to our passionate and dedicated employees who strive hard to meet and surpass clientele expectations. With us, you can choose from a wide variety of doors with style and designs that suit every personal taste and preference. Choose from our range of options, you will surely find one that will suit to your personal liking, unique needs, and of course, your budget! Your door is the portal to your home. When it is not working properly, there is nothing it can offer but strife and frustration. Worry no more! Our professional and experienced staff specializes in diagnosing and repairing all major makes and models of doors. 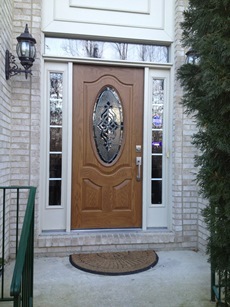 We are offering same day service, and is always available to attend to your unique door issues and needs. Doors are subject to wear and tear; expect that they’re not going to last for a lifetime. So, if you ever find your doors with issues and problems that need to be fixed immediately, let the expert handle them! We take pride of what we do, making sure that you will be able to get your doors fixed and working just like new. You don’t have to resort to expensive new door installation or replacement if your door can still be fixed. All you need is a professional service that can yield result. In this case, what you need is our service! Our Maryland and DC Locksmith company is also an expert in replacing battered or old doors both in residential and commercial establishments. So, if you ever need to replace doors with something much better and secured, don’t hesitate to hire our exceptional door replacement services and you will see the difference. King Locksmiths is not just your locksmith expert but also your door installation, repair, and replacement expert! We value our clients more than anything else so we strive to improve our services and features in order to serve you even better! We have all the excellent features that you would want to experience from a reliable company, and we can guarantee that! Now that you know all our services, not to mention how efficient we are in offering our service, why wait? Make the right move and get the best services. Never settle for less, you can have the best from us! Install, Repair or Replace Doors Professionally in MD-DC https://kinglocksmiths.com/install-repair-replace-doors-maryland/ Sorry, this page does not have any ratings yet.